Click On Image To View ! The movies listed above and below are our current list of Favorites. The “Overall Dress” is a little less conservative than I would like to see. 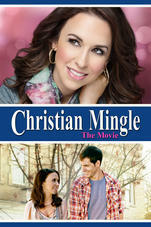 The story centers around an unchristian lifestyle such as the lead actors/actresses living together unmarried. The movie may exhibit alittle too much violence. One thing is certain,"They Represent a Much Better Selection of Entertainment than what's currently in the Media ! Please consider bringing these into your homes rather than Secular Hollywood"! Below is a YouTube Playlist of trailers for the movies listed here. Please take a few minutes to go through them. Please remember they are being constantly updated. As an additional note, I don’t post negative movie evaluations, however I do maintain a list for my private use. And why? Many movies are first attempts with new production companies, or maybe they just don’t have the funding for a quality production. However, one thing is certain; the producers, actors and writers put their “Heart-and Soul” into their productions and in no way do I want to discourage their efforts. These "First-Attempts Of Today" lead to the excellent christian movies of tomorrow and need encouragement. Please watch some trailers. TUGG – Bring Your favorite Movies To You.